The Internet is full of fake news. Monochloramine has its own. Discover here the most common ones and the true science about monochloramine. FALSE SENTENCE 1. Monochloramine is more than 1000 times more volatile than chlorine. x: is the molar fraction of the component dissolved into the liquid. Therefore, the greater is the Henry’s constant the greater is the volatility of the component. The H values of monochloramine (NH2CL), chlorine and hypochlorous acid measured at T= 20 °C are reported in Table 1. Table 1: H values for chlorine, monochloramine and hypochlorous acid. From Table 1 it is possible to observe that chlorine is much more volatile than monochloramine since the H constant value of Cl2 (585) is about 1300 times higher than the one of NH2Cl (0.45). However, if the H value of monochloramine is compared to the one of hypochlorous acid, the Henry’s law constant of NH2Cl is just ≈ 6 times higher, and not 1000 as wrongly reported in the statement. In addition to this, since monochloramine is produced and dosed in closed water plumbing systems, the evaporation of the biocide is not an issue. Moreover, the application of NH2Cl has been studied and tested into full-scale open recirculating cooling water (ORCW) systems, like cooling towers (Türetgen, 2004; Chien S.H. et al., 2012; Jakubek et al., 2013; Coniglio M.A. et al., 2015). Important to note, in these applications the use of monochloramine resulted in an adequate control of Legionella growth and algae formation into the cooling systems demonstrating that the slightly higher H constant does not affect the biocide activity. 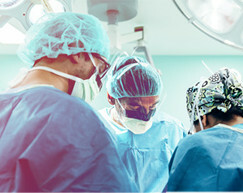 More in general, the use of NH2Cl into ORCW presents several benefits with respect traditional chlorine-based technologies, like avoid the use of chemical for pH control and increase in the number of cycles of concentration (COC), eliminate the need of shock treatments, reduction of residual concentration and disinfection by-products at the blow-down, better control of biofilm formation and algae proliferation (Jakubek et al., 2013; Türetgen, 2004) and preservation of the construction materials. FALSE SENTENCE 2. Chloramines in treated water can irritate skin, eyes, nose and respiratory tract. 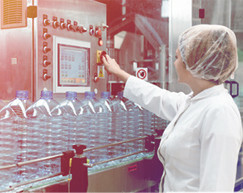 In a report issued by WHO (WHO, Guidelines for Drinking-water Quality, 2000) in which the use of monochloramine in drinking water is discussed, is reported a study on the effect of monochloramine on humans. The results confirm that monochloramine at drinking water concentrations has no effect on human body and health. In the study, monochloramine was administered at increasing doses (approximately 0.0001, 0.01, 0.11, 0.26 or 0.34 mg/kg of body weight per day) to five groups of 10 human subjects each, over a 16-day period. There were no adverse effects on clinical signs, urinalysis, hematology or clinical chemistry in comparison with controls. In a second phase of the study, 10 healthy adult males were given a 5 ppm monochloramine solution (0.04 mg/kg of body weight per day). There were no adverse effects on physical condition, urinalysis or clinical chemistry and no serious objections to the taste of monochloramine at the dose tested. Since the level of NH2Cl in drinking water systems is between 2-3 ppm, no effects on human body could be expected. More important, the study reports that monochloramine has a lower toxicity level with respect to chlorine. In another published work (Daniel F.B. et al., 1991) is reported a study of the effect of NH2Cl on rats over a 90-days trial. At the end of the test Daniel figured out that the no-observed-adverse-effect level (NOAEL) was 100 ppm, which is much higher than the average level of monochloramine into drinking water systems, suggesting that, as already reported, NH2Cl cannot irritate skin, eyes, nose and respiratory tract at average drinking water level. For what concerns the swimming pools, chlorine or hypochlorite are used for disinfection. Urea, which is present in swimming pools water, decomposes to ammonia, which then reacts with hypochlorous acid to produce chloramines. The uncontrolled ratio between chlorine and ammonia and the low pH level, leads to the formation of mostly dichloramine (NHCl2) that is more volatile with respect to monochloramine (NH2Cl). 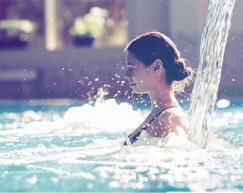 In fact, in swimming pools dichloramine is the real eyes irritation agent. FALSE SENTENCE 3. Monochloramine is generally considered more corrosive to metals than chlorine. Chlorine is a strong oxidant and can attack pipe materials (both metals and plastic) to provoke corrosion issues. Boffardi (Boffardi B.P. 1992) showed that chlorine at concentrations above 0.5 ppm leads to iron corrosion in drinking water piping. Moreover, iron being a microelement improving Legionella metabolism, there are evidences that corrosion products enhances the Legionella colonization in building piping systems. 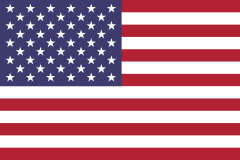 There are numerous scientific and technical papers supporting the fact that Monochloramine was found to be less aggressive than free chlorine (Hoyt, B.P. et al., 1979; Treweek G.P. et al., 1985; Pisigan R.A., et al., 1987; Le Chevalier M.W. et al., 1993; McNeill L. et al., 2001). An explanation of the chemistry behind monochloramine and chlorine oxidative behavior is explained by Melada (Melada, 2016). In this white paper it is shown why monochloramine is much less aggressive than chlorine to piping materials. FALSE SENTENCE 4. Monochloramine can degrade rubber and plastic plumbing components causing premature failure. It has been demonstrated (Hassinen J. et al.,2004; Castagnetti D. et al., 2010) that chlorine is corrosive on PE (polyethylene) and PP (polypropylene) pipes which are going to be more and more common for water distribution piping. For what concerns elastomers, the first report stating that an oxidative attack on certain type of elastomers by monochloramine is possible was published by NACE (National Association of Corrosion Engineers) in 1961. 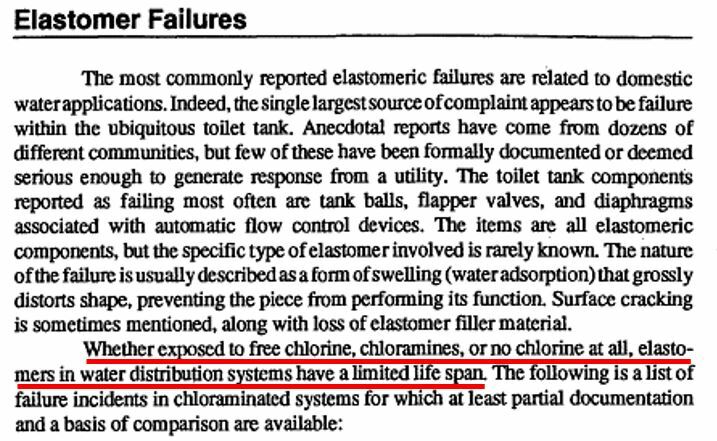 The most authoritative paper on compatibility between monochloramine and elastomers (namely NBR, EPDM, PTFE…) is the AWWARF book titled “Chloramine effects on distribution system materials” (Reiber 1993). In this book the author reports cases of elastomer failure and a possible failure mechanism (attack on the sulfur cross-linkage of rubber). 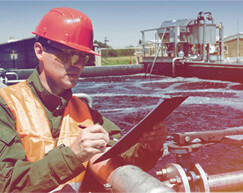 The Authors, which have more than 10 years of experience with more than 200 applications in any type of permise, showed that only old NBR (natural rubber) seals, gasketsor, O-rings can be possibly attacked and swelled by monochloramine at drinking water levels (up to 4 ppm) and that EPDM is much more resistant, even in hot water. Of course, fluorinated polymers like PTFE, PFVD, PFA,… are completely resistant to both monochloramine and chlorine even at higher temperature and pressure. In conclusion, all of the published papers showed that monochloramine is much less aggressive towards materials than chlorine. Figure 1: Extract from the book “Chloramine effects on distribution system materials”, AWWARF, 1993. Some studies demonstrated that the use of monochloramine could dissolve lead from old solders (Edwards M. et al., 2004). A recent paper (Duda et al., 2014) showed instead that in a 24 months field trial of monochloramine for Legionella remediation, the measured level of lead in drinking water was always under EPA MCL. This is probably due to the fact that lead solder are not allowed in plumping systems since the “lead ban” of 1986 (Safe Drinking Water Act Amendment). Therefore, lead leaching is not an issue considering that that type of solder are becoming unlikely to be found in building water pipeworks. Boffardi B.P. Proceedings of the 1992 TAPPI Engineering Conference, Atlanta, GA (1992) 953. Castagnetti D., Scirè Mammano G., Dragoni E. Polymer Testing (2011) 277-285. Chien S.H., Chowdhury I., Hsieh M.K., Li H., Dzombak D.A., Vidic R.D. Water Research (2012 ) 6508-6518. Daniel F.B., Robinson M., Ringhand H.P., Stober J.A., Page N.P, Olson G.R. Environmental Science and Technology (1991) 93-98. Edwards M., Dudi A. Journal AWWA (2004) 69-81. Hassinen J., Lundbäck M., Ifwarson M., Gedde U.W. Polymer Degradation and Stability (2004) 261-267. Holzwarth G., Balmer R.G., Soni L. Water research (1984) 1421-1427. Hoyt B.P., Kirmeyer G.J., Courchene J.E. Journal AWWA, (1979) 720. Jakubek D., Le Brun M., Leblon G., DuBow M., Binet M. Microbiology Ecology (2013) 1-11. LeChevallier M.W., Lowry C.D., Lee R.G., Gibbon D.L. Journal AWWA (1993) 111. McNeill L., Edwards M. Journal AWWA (2001) 88-100. 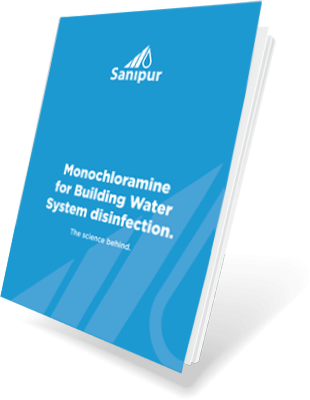 Melada S., Monochloramine for building water system disinfection, white paper (2016). Montgomery J.M. John Wiley & Sons. New York (1985). Pisigan Jr. R.A., Singley J.E. Journal AWWA (1987) 62. Reiber S. Chloramine effects on distribution system materials. AWWARF publication (1993). Türetgen I. Biofouling (2007) 81-85. Treweek G.P., Glicker J., Chow B., Sprinker M. Journal AWWA (1985) 74.
WHO, Guidelines for Drinking-water Quality, (2000).